Spinal decompression is only necessary for people with bulging or herniated disks, and even then, only if they have tried chiropractic care and physical therapy and not found relief. 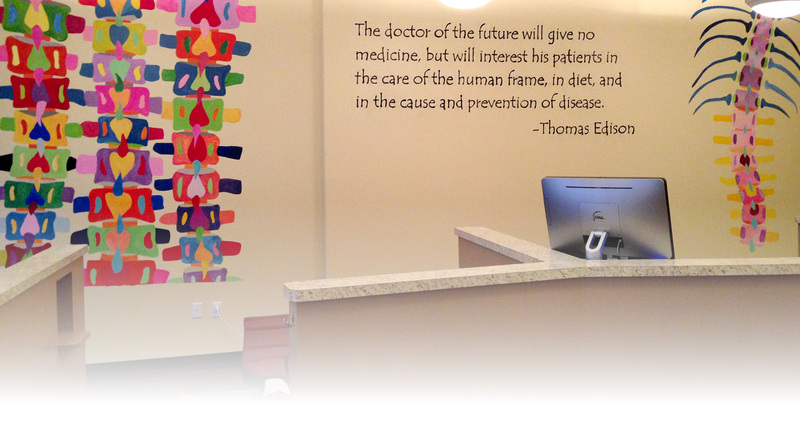 This characterizes about 10% of our patients at Hands On Health Chiropractic. The DRX9000C decompression machine is the top of the line, has zero side effects, and is very safe and comfortable. It checks tension on the straps during the therapy and adjusts as necessary for your comfort. And it will not cause muscle strain. Having decompression available in the office has been a wonderful bonus, since it’s helped many patients to avoid seeking back surgery. Click here to see what patients are saying about the DRX9000C decompression machine. We encourage all of our patients to utilize spinal molding. It’s a simple technique meant to reset the natural curve of your spine daily, after the normal wear and tear of the day. When you become a patient, we’ll provide you with two foam cylinders which you can place under your lower back and your neck while lying flat on the floor or a bed without a pillow. We’ll ask you to perform this task each night for 20 minutes – and you can talk on the phone, read, rest, or do whatever you’d like with that time. Just like brushing your teeth nightly before bed helps to prevent cavities, performing spinal molding each night helps to prevent future problems with your spine. Click here to see what patients are saying about chiropractic care! Spinal problems rarely get better on their own. Begin care today. Call us (817) 421-4775.